Americus bed and breakfast travel guide for romantic, historic and adventure b&b's. 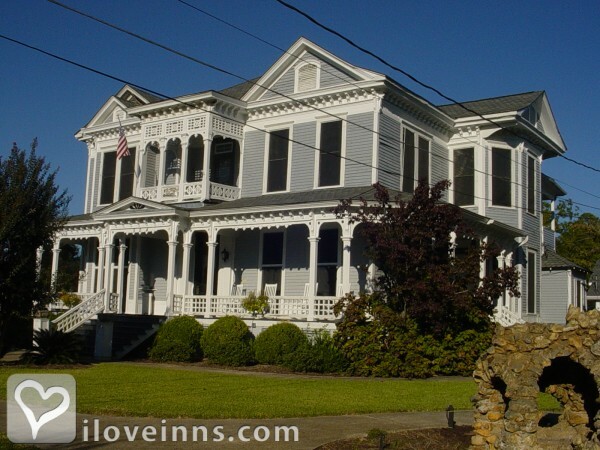 Browse through the iLoveInns.com database of Americus, Georgia bed and breakfasts and country inns to find detailed listings that include room rates, special deals and area activities. You can click on the 'check rates and availability' button to contact the innkeeper. Americus Georgia is the closest city to the most infamous Civil War prison, Andersonville, now part of the Andersonville National Historic Site comprised of the grounds of the original prison and cemetery, and home to the National POW Museum. Equidistant from Americus, is the Jimmy Carter National Historic Site comprised of the original farm where Mr. Carter lived as a child, the Plains High School, where he was educated, which is now the museum and welcome center, and the train depot, which served as his campaign headquarters when he ran for President. Mr. Carter also teaches an adult Sunday School class at his church in Plains which is open to the public.Americus is known as the By Americus Garden Inn Bed & Breakfast. If you are looking for a city in Georgia that offers not just wonderful and exciting recreational spots but rich history and heritage as well, the city of Americus is the perfect place. With several historically relevant buildings and structures such as the infamous Windsor Hotel and the Rylander Theater, Americus is frequented by history buffs from all around the state every year. The city has a number of Americus bed and breakfast to accommodate guests. The city also offers tours, such as the Historic Homes Driving Tour that will take visitors to nearly forty specific sites, routing through downtown to see other interesting structures. The world popular Habitat for Humanity International is also found in Americus, Georgia. It opened its Global Village and Discovery Center in Americus, more than 8 years ago. By Americus Garden Inn Bed & Breakfast.